Imagine a beer: the crisp aroma escaping from a popped bottle, golden hues of bubbling liquid fizzing to the top, white froth that looks so soft and delicate, it could form a pillow on the coaster as it spills over the glass. To some, this is the image of a great weekend, or a summer’s day off by the barbecue. For the lucky few, it’s a start to the work week. With Australia's love of beer supported by hundreds of breweries across the nation, Young Henry's sought to create stand out suds with flavours that infused creativity with every craft brew. What began as an eatery in Newtown that served it’s own craft beer, saw early success in the wholesale market and transformed the business into an entire production brewery with a tasting bar attached. “It’s a similar concept to a wine tasting bar, only we serve beer directly from the source” explained Richard. Young Henrys' range includes four standard beers, one cider and one limited release brew that varies in order to fill gaps in the market. "We identified types of beers that are underrepresented and put our own twist on it, adding new flavours and ingredients you wouldn't expect to see in beer”, said Richard, adding, “people seem to really like what we brew!”. Demand is so robust for the team at Young Henry’s that they’ve grown from three to 25 brewers to accommodate. In addition to staying true to their passions, Young Henrys has a strong environmental ethos that encourages people to think about the impact of their consumption. Opting for eco-friendly packaging , their 'Growler' bottles are returnable and refilled at a cheaper price, a scheme that boasts a 50% refill rate and an overall reduction of the brewery’s carbon footprint. When it comes to attributing the success of the business, Richard highlights the vitality of common brand values in creating an unvarying sense of direction for business growth. “Where you think you’re going and where you end up is always different. You need to make sure everyone involved agrees on the same message and agrees that those values won’t be compromised” he stresses. In the developing stages of his business, Richard noted the initial location site fell through which gave the founders a chance to find a broader platform on which to operate. 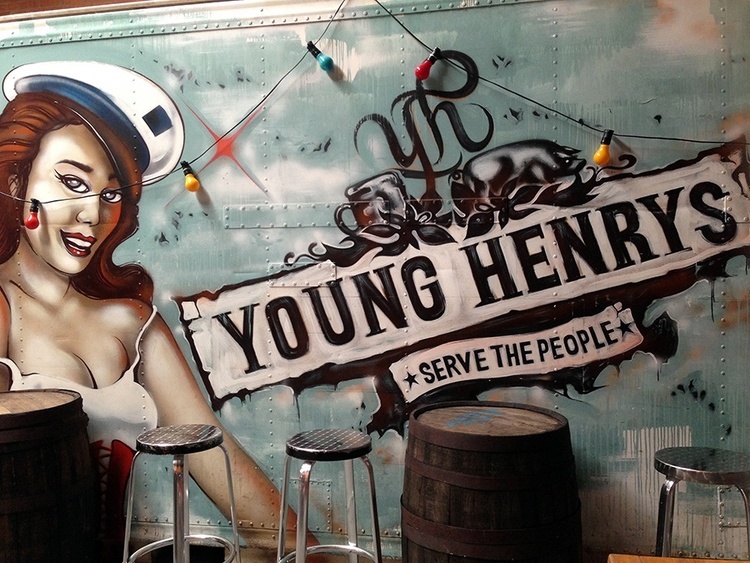 Moving to their urban Newtown warehouses ended up doubling the business's size and opened Young Henry’s up to the public. Find out more about Young Henrys brewery through their website, or follow them on Facebook and Instagram.